Ok, so where did I leave off with our Hawaii trip? 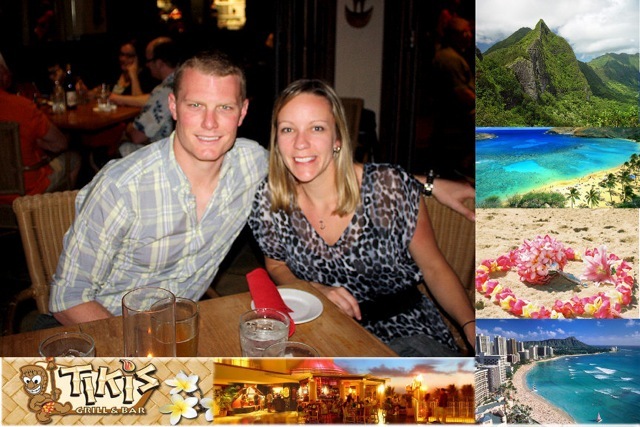 We spent 3 awesome nights on the island of Kauai, which you can read about here. Then we hopped on a plane and headed over to Oahu. We jumped in a shuttle and took a long ride, through rush hour traffic, to our hotel in Waikiki Beach. After the lush, beautiful, tropical paradise that was Kauai, we were a little disappointed that Oahu looked like just another city. Once we got to Waikiki Beach, things were looking a little better, but it was still packed with tourists and way too many cars. We checked into our hotel, the Hilton Waikiki Beach (which was much less resort-like and much more city-swanky than our hotel in Kauai), and headed out to explore. Waikiki Beach is filled with zillions of restaurants, surf shops and souvenir stores. It definitely felt like vacation, but it felt more like vacation in LA or Miami, not so much a tropical paradise. We found a frozen yogurt shop after dinner, then headed back to the hotel for some shut eye. The next day, we did something we never should have. We relied on the hotel concierge to make plans for us. This turned out to be a complete disaster. 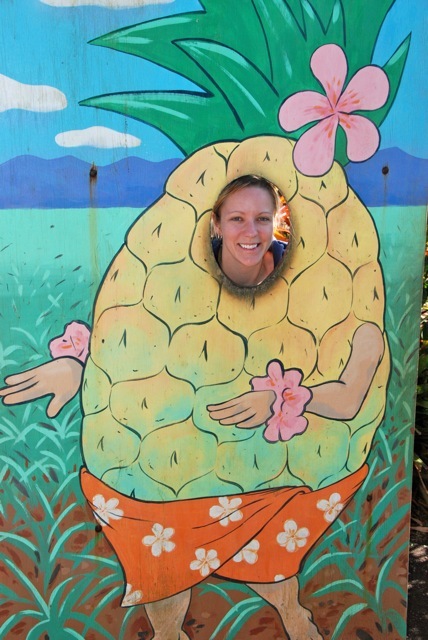 I had recently seen on another blog that you could visit the Dole Pineapple Plantation on Oahu. I thought that sounded fun, but we didn’t have a car to get there. We asked the hotel concierge if there was any way to get there and she immediately booked us on a “great” tour. I should have been a little suspicious about the fact that the tour was 6 hours long. We got up early and headed outside to wait for E Noa Tours to pick us up. We walked onto the bus and immediately noticed that we were the only ones under 70 on the whole bus. Uh oh. 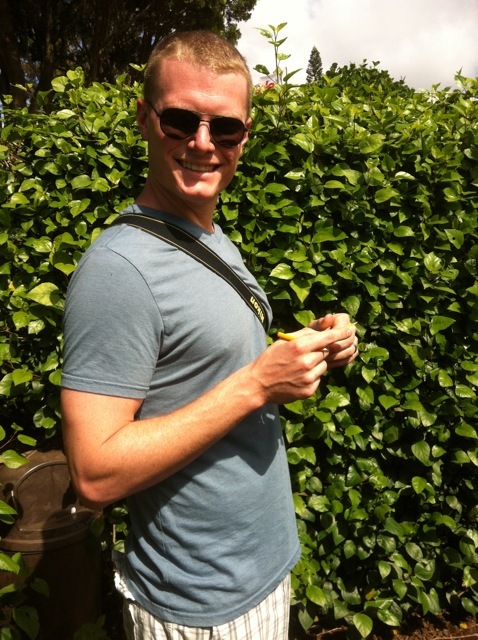 The bus driver took us to the Dole Plantation, let us off and told us to be back in an hour and a half. Huh. Thought it was a 6 hour tour? Not thinking too much about it, we started exploring the plantation. 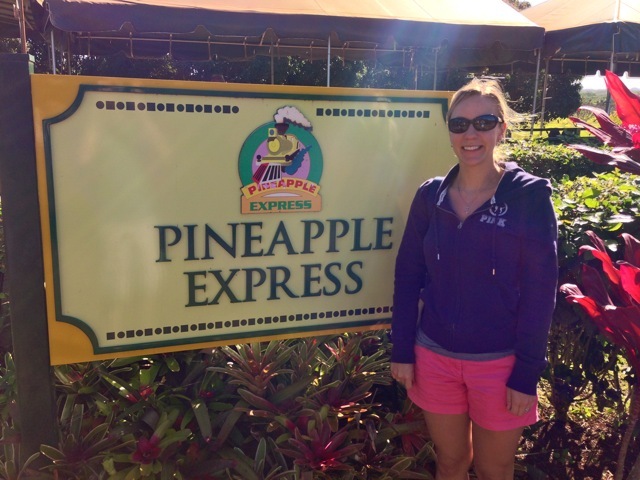 First, we took a train ride all around the plantation and saw the pineapple fields and learned lots of interesting facts. 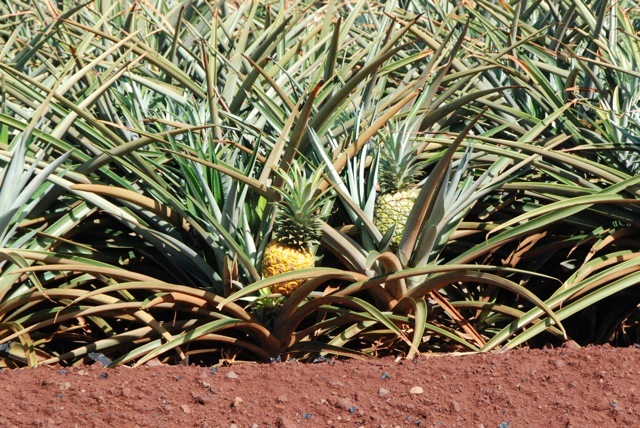 A pineapple plant only produces 2 pineapples in its lifetime! It takes almost 2 years to produce the first pineapple, then another year to produce the second. Then it dies and has to be replanted. No wonder pineapples are so expensive! 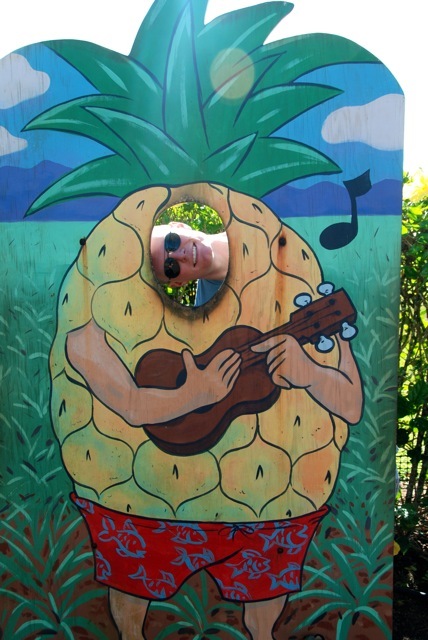 After the train tour, we went into the pineapple maze. 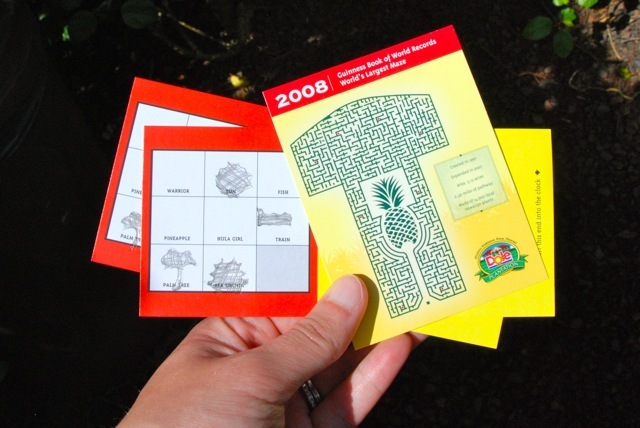 It’s a giant maze like a corn maze, with several stations you need to find before exiting the maze. 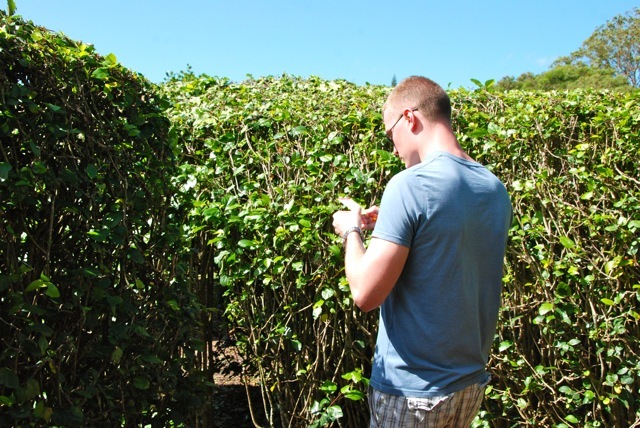 Luckily Nick is an expert navigator and we got through the whole maze in 30 minutes. Without him, I don’t think I would have found even one station! Before we got back on the bus, we decided to grab some food. I was expecting crappy cafeteria food, but the food was actually awesome! 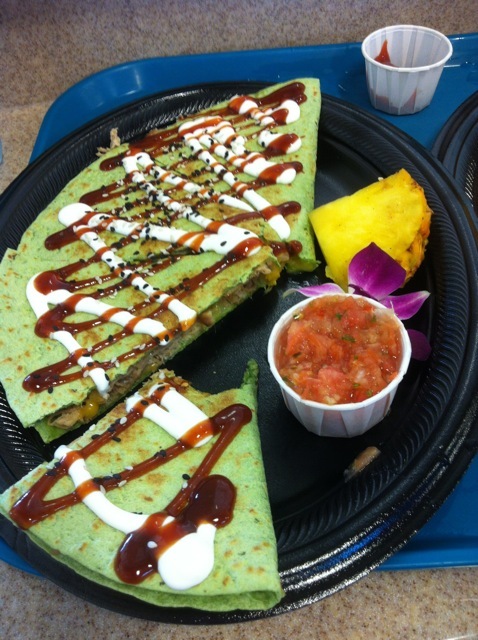 I had a kalua pork and pineapple quesadilla and it was amazing! 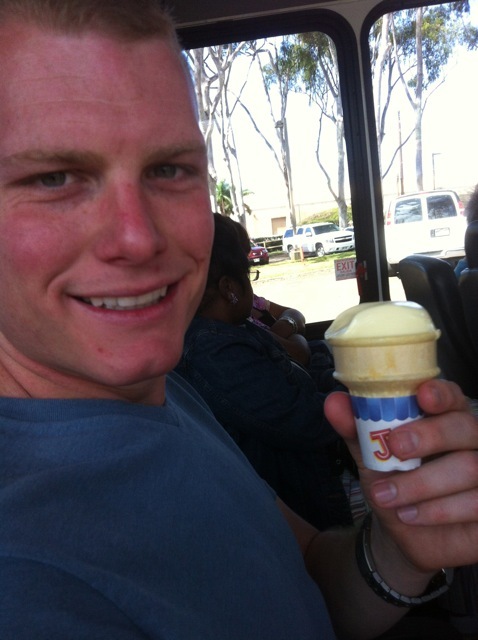 And a frozen pineapple whip cone for dessert (yes, the same ones they have at Disney!). We got back on the bus and started heading back to the hotel… or so we thought. Turns out, the remaining 4 hours of the tour were spent IN THE BUS, driving around the island. Seriously? WHO GOES TO HAWAII TO SIT IN A BUS? We were so furious, we were clawing our eyes out. 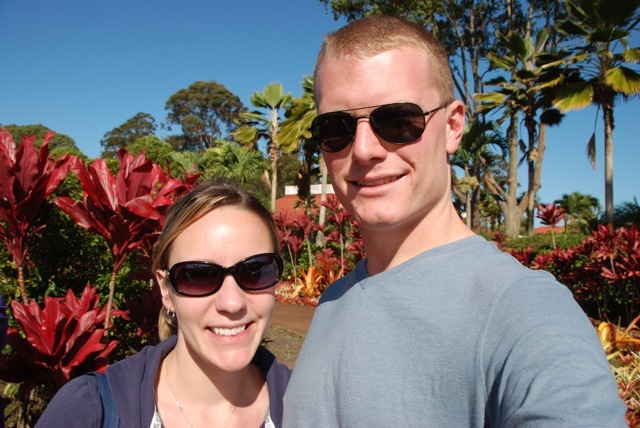 We basically wasted a whole, beautiful, day in Hawaii, thanks to a loser hotel concierge and a TERRIBLE tour company. Moral of the story: Do your own research. We were so eager to get off the stupid bus, we jumped off at the first stop, about a mile from our hotel. Happy to be out in the sun, we walked back along the beach. Oahu has one thing on Kauai and that’s the beaches. Kauai’s beaches are kind of a dirty looking brownish volcanic rock sand. Oahu has beautiful white sand that makes you want to plop right down and order a pina colada. Once back at the hotel, we headed to the pool for a little fresh air and relaxation. That night for dinner, we decided to try the restaurant at our hotel, MAC 24/7. Adam Richman of Man v. Food had visited, and FAILED (!!) their pancake challenge! We’ve visited restaurants from Man v. Food before, and they’ve always been awesome (way better than Diners, Drive-Ins and Dives, FYI). 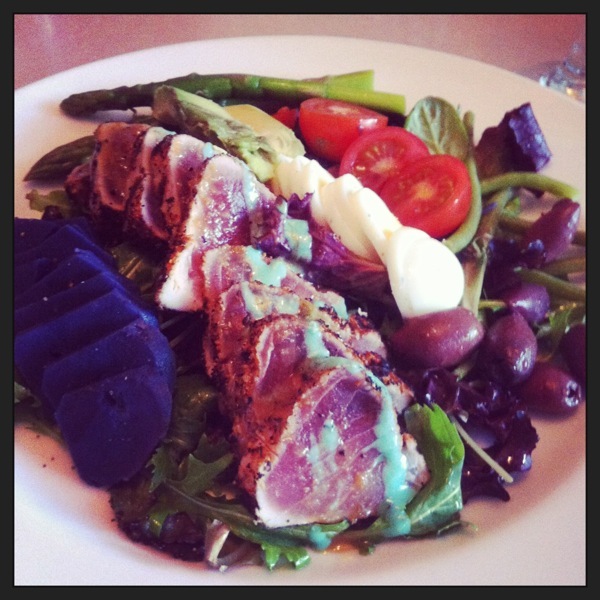 Though I was tempted to try the pancakes, I ended up on a lighter note and got the Seared Ahi Tuna Nicoise Salad. And I was so glad I did… it was so pretty and full of awesome, delicious and good for you things. They had tons of delicious things on the menu, and it was much more reasonably priced than Tiki’s (the food was way better, too). I’d highly recommend this place! 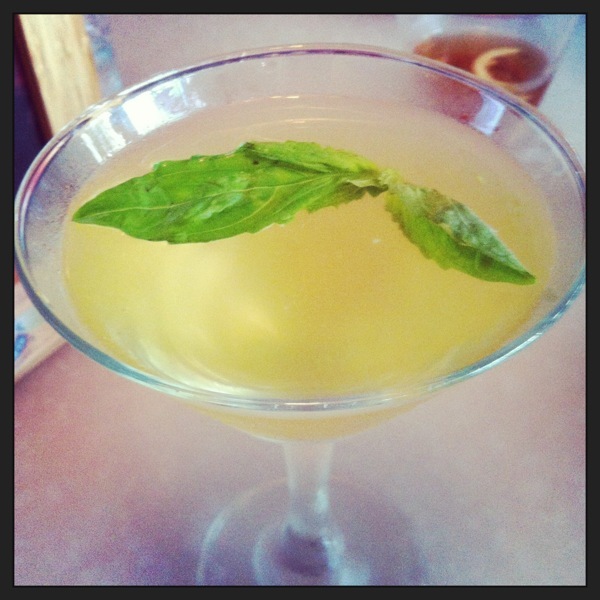 Their peach basil martini was also amazing… I rarely like martinis, but this one was yummy! The next day, we had a much better experience of Oahu. We got up bright and early again and headed out to wait for yet another bus to pick us up. This time, the bus brought us to a dock where we boarded a beautiful 53 foot catamaran for some sailing and snorkeling with Ko Olina Sailing Adventures. 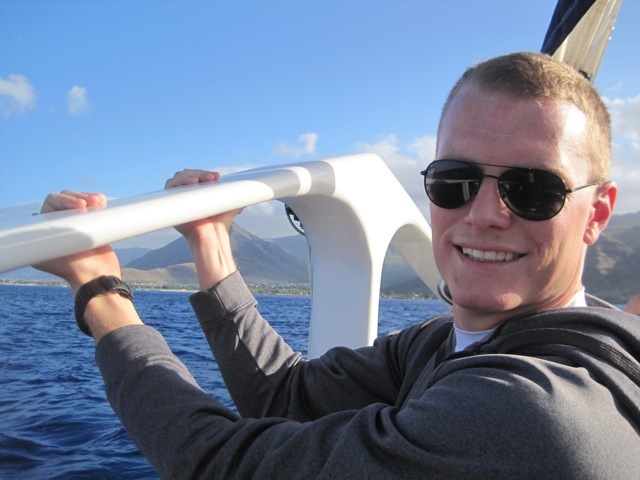 We sailed around for a while, taking in the beautiful scenery and even spotting a few whales. 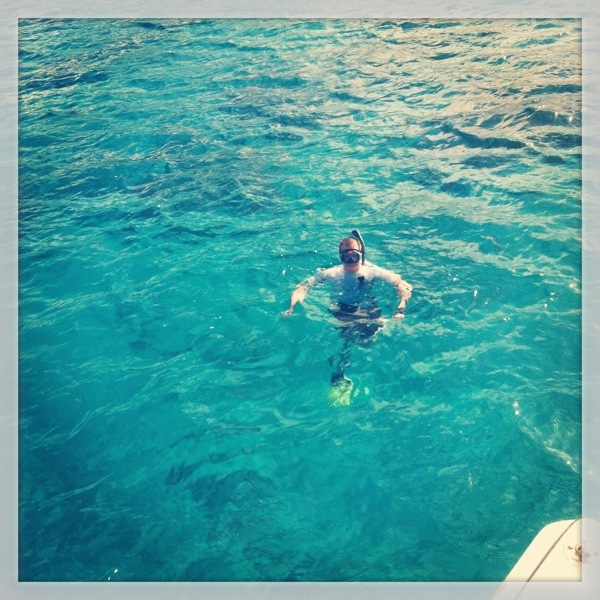 Then we anchored at 2 different snorkel sites, where we jumped in the water to explore. Sadly, I didn’t have an underwater camera, but we saw some beautiful reefs and fish, and swam along with several huge sea turtles, including a loggerhead (which are apparently really rare)! 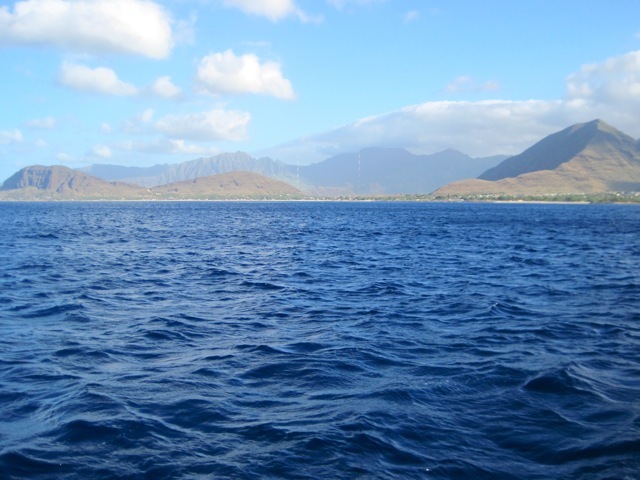 It was a gorgeous day, the crew was incredibly friendly and full of knowledge, and we so wished we could have spent both our days on Oahu on that boat! That night we went back to MAC 24/7 for dinner. We liked it that much! 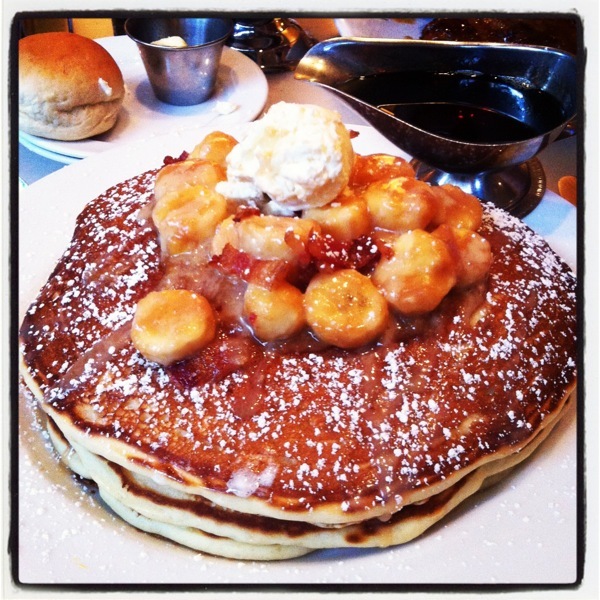 I couldn’t help but order pancakes! They were not the challenge-sized pancakes, but they were still HUGE! 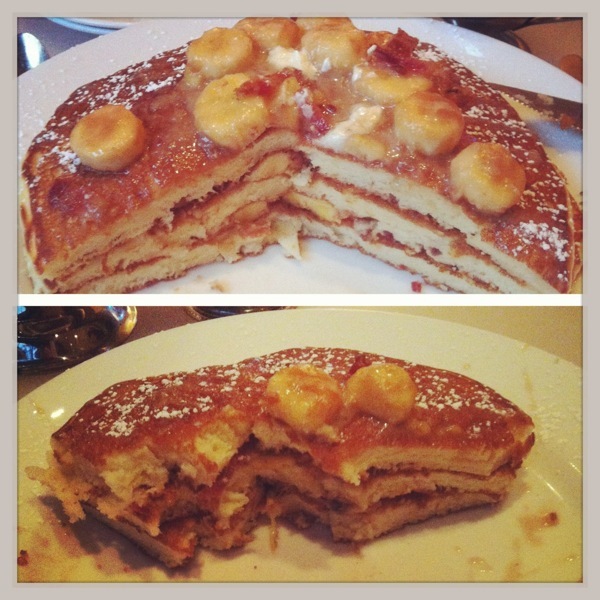 I got the Elvis pancakes which were layered with peanut butter, banana and bacon. They were so good, but enormous. I could barely make a dent in them. After Nick finished his own dinner, he helped a little. But even the two of us couldn’t finish the “small”-sized serving. No wonder Adam failed. The next morning, it was time to head to the airport to go home. NOOOO!!! So sad. We ended up sitting in the airport for 6 hours, with a delayed flight. What else is new. We had such a great honeymoon! Even though it took a concussion to get it, I’m glad we finally had the chance to take one. Now it’s back to the real world… trying to finish getting the new house put together and looking for a job. Can I go back to Hawaii yet? Ok, time to start planning the next vacation here! It looks gorgeous there! Hawaii is on my bucket list of places to visit for sure! And your day on the bus sounds terrible…that concierge should have known better!!! 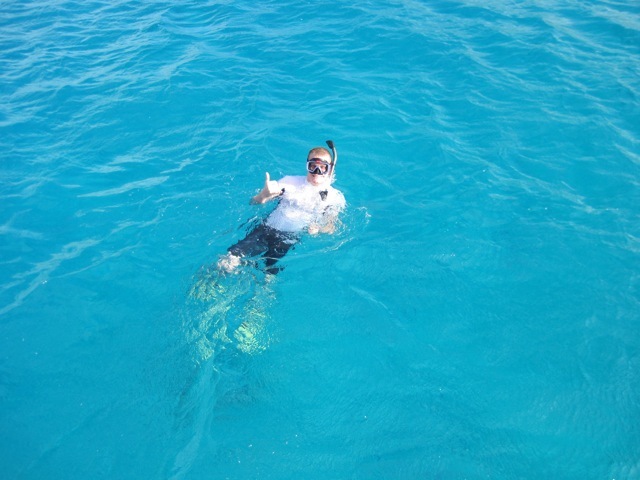 At least the snorkeling day kind of made up for it!!! It was awesome!! I cannot WAIT to go back! !